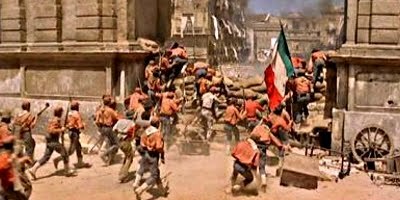 The triumverate of Alain Delon, Burt Lancaster and Claudia Cardinale bring Giuseppe di Lampedusa's epic novel to spectacular life on the screen. Director Luchino Visconti follows the hefty novel reasonably closely, and allows the plot to flow naturally and unhurriedly, allowing characters to be gradually introduced. Seemingly miscast as a Sicilian nobleman, Lancaster's natural screen presence lends him a gravitas that the dubbing can't entirely distract from. Fans of world cinema will already know what Delon and Cardinale can do, but both are ideally cast, especially Cardinale, who would bring elements of her role here to Once Upon a Time in the West. Visconti brings his usual stylistic flair to the picture, and ends with a 40 minute ball scene that approaches Michael Powell's ballet sequence in The Red Shoes in terms of sheer cinema. Anyone with more than a passing interest in moving pictures will enjoy the sight of master craftsmen at work here.